This fantastic projector torch projects amazing images of the worlds most deadly creatures onto walls and ceilings. Includes 24 photographs on 3 interchangeable projector caps. 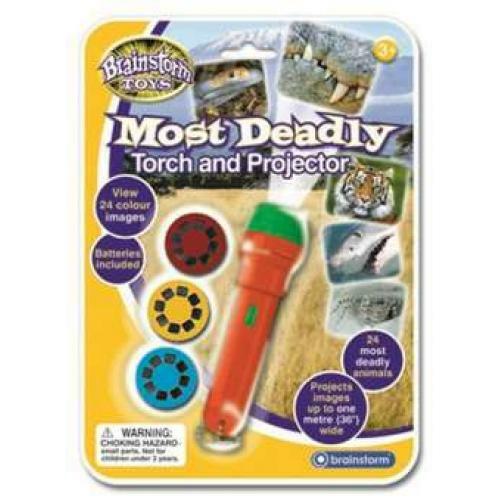 Make going to sleep fun with the Brainstorm Toys Most Deadly Projector Torch.